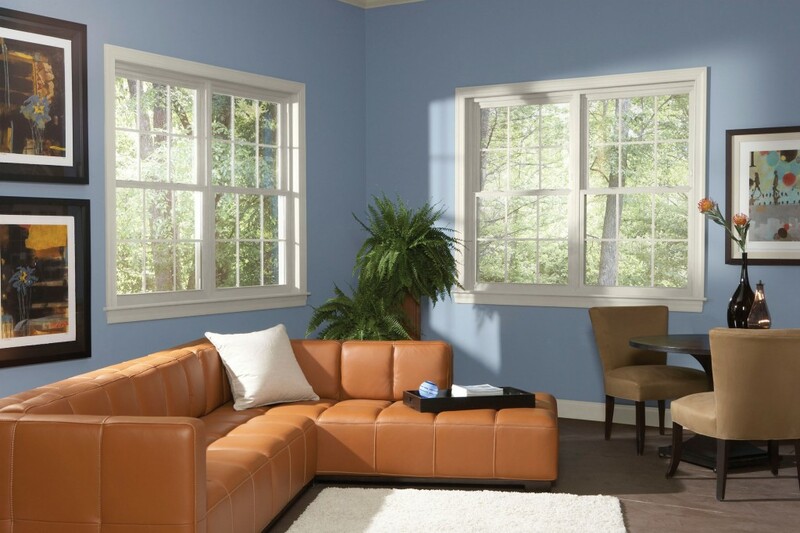 When it comes to installing double hung windows in your home, look no further than Window World of Akron. 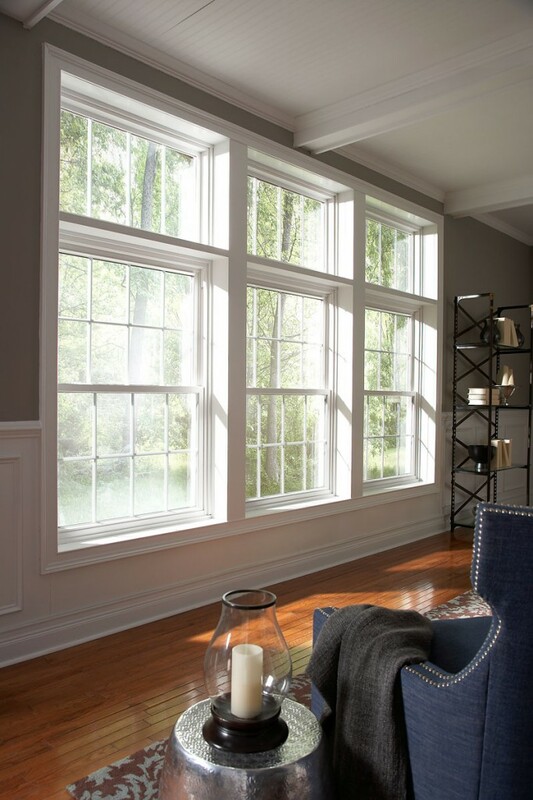 Whether you are looking to select windows for a new home, or you need to replace your current windows, double hung windows from Window World are a classic option that come in a variety of styles and sizes. All of our double hung windows are built for easy cleaning and maintenance, and are backed by our Limited Lifetime Warranty. Learn more below! 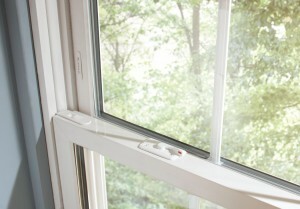 Triple-pane glass systems deliver an added layer of protection to block energy loss. Their precision-engineered construction features a 1″ thick glass unit, three panes of single-strength glass, two surfaces of Low-E (low-emissivity) technology, two spaces of argon gas, along with the SolarZone ThermD Intercept® Stainless Steel Spacer System for an ultra-efficient energy-saving shield. This thermally optimized glass system provides a more balanced, comfortable indoor climate, while also reducing outside noise. Reinforced narrow silhouette frame and sash profiles make a statement of style with their low-profile design. The result is a beautiful and expanded glass area. At the same time, internal chambers increase structural integrity, rigidity, and energy efficiency. The smooth and uniform true sloped sill quickly directs water runoff without the use of weep holes, keeping the exterior of the window clean and attractive. Our telescoping sill dam delivers a triple payoff: protection from air and water infiltration increased structural stability and enhanced beauty. The superior performance of 6000 Series windows starts with innovation. Every precision-engineered component contributes to superior energy savings. The multi-chamber design helps trap dead air to produce an effective insulating barrier, while extra-thick, fusion-welded frames and sashes provide superior structural strength and create a permanent barrier against air and moisture infiltration, adding up to greater energy savings and lower utility bills. 6000 Series windows feature a sloped sill helping to prevent air and water infiltration while maintaining a timeless, detailed appearance. Beveled mainframes on double-hung and sliding windows complement any home style. Best yet, 6000 Series windows are covered by Window World of Akron’s impressive Lifetime Limited Warranty for complete peace-of-mind. Interlock at sash meeting rails create a super-tight seal against air infiltration, providing security, comfort, and well-being. Think double-hung windows could be right for your Akron home? Contact us today for your free home estimate!